They say that the Balkans is something of a breeding place for corruption and a haven for lawbreakers and hoodlums. The infamous “Balkan route” is the main itinerary for smuggling cocaine, heroin, precursor chemicals and amphetamine-type stimulants throughout the rest of Europe. 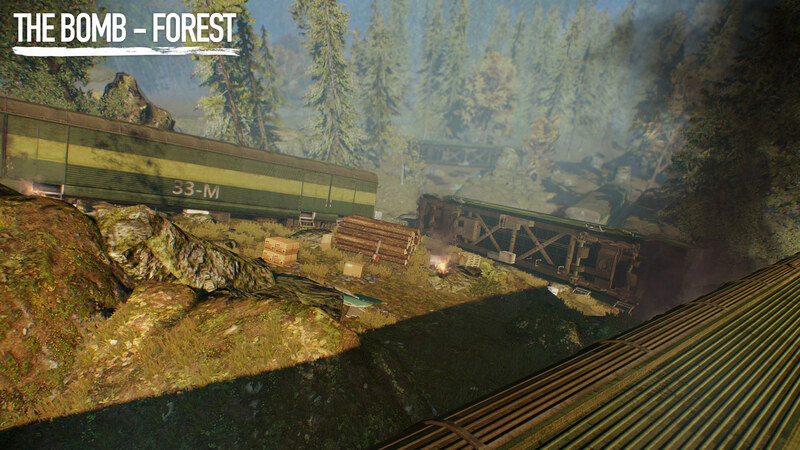 There is a good chance that Heisters around the world at one point during their career handled goods that passed through one of the Balkan states. But perhaps the most interesting things about organized crime in the Balkans is that it succeeded where empires in centuries past have failed. It managed to bring competing ethnic and religious groups to cooperate for one common goal – the acquisition of vast amounts of valuables, be it money, gold, weapons or other. Our newest contact, know only under the alias “The Butcher”, is a legend in this regard. The alias has been active since the Cold War. It has been connected to the IRA, The Baader-Meinhof Group, and the Albanian Mafia. We know her organization spans over several countries. Her contacts range from lowly thugs to high standing government officials. And, perhaps most important of all, she is a devil at transporting firearms to any corner of the world. With our latest Diamond Heist, the Butcher’s gotten impressed by us. So impressed in fact, that her closest confidant is coming to meet us. We have no way of knowing what to expect, but let me take this opportunity to impart some advice. No matter what happens – play nice. This deal is worth a lot to us. The eyes of some major crime syndicate are watching us. 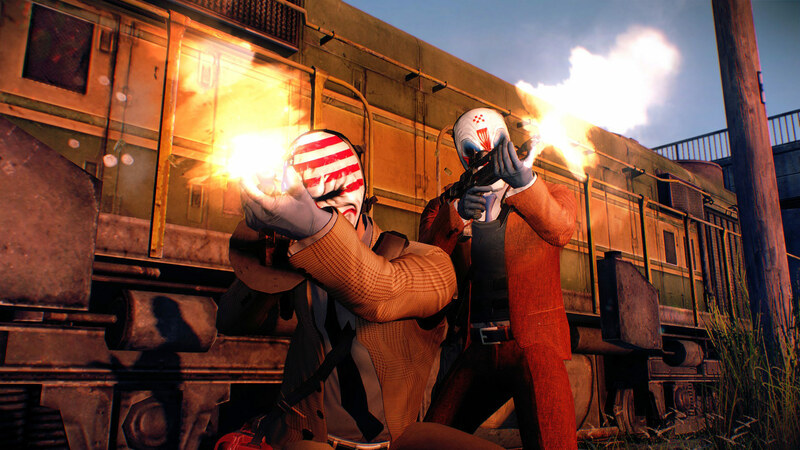 Make these two heists count. I know you’re eager to learn more about the contracts. We’re still receiving encrypted data from the Butcher that we’re decoding about both her confidant as well as the two jobs. 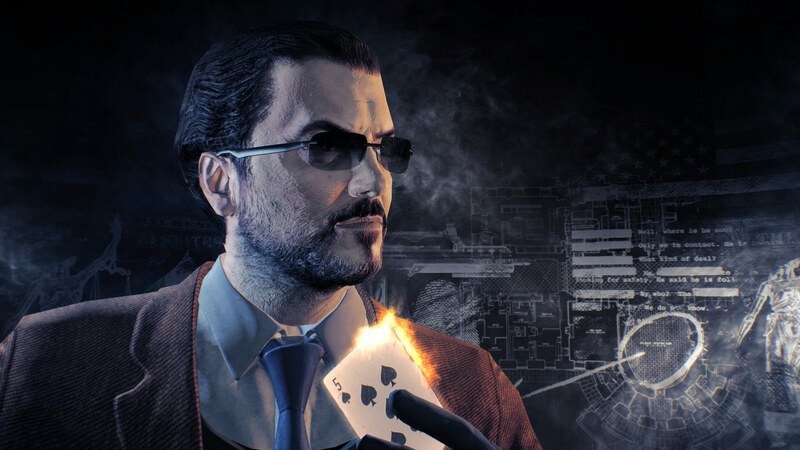 “No pain, no gain”, a proverb most fitting to describe Dragan, the Croatian “entrepeneur” who the Butcher sent to keep the PAYDAY gang in check, as part of a deal with Bain to secure the lucrative Bomb heists. Life had been good to this corrupt Interpol agent. Everyone was on the take. He got to crack skulls, the money rolled in, and he lived like a king. On both sides of the law, he used his contacts to further his own agenda while playing them against eachother. But that all ended when he betrayed his partner to the Butcher. His reward for this ultimate act of backstabbing? To act as her confidant on a mission to the U.S. 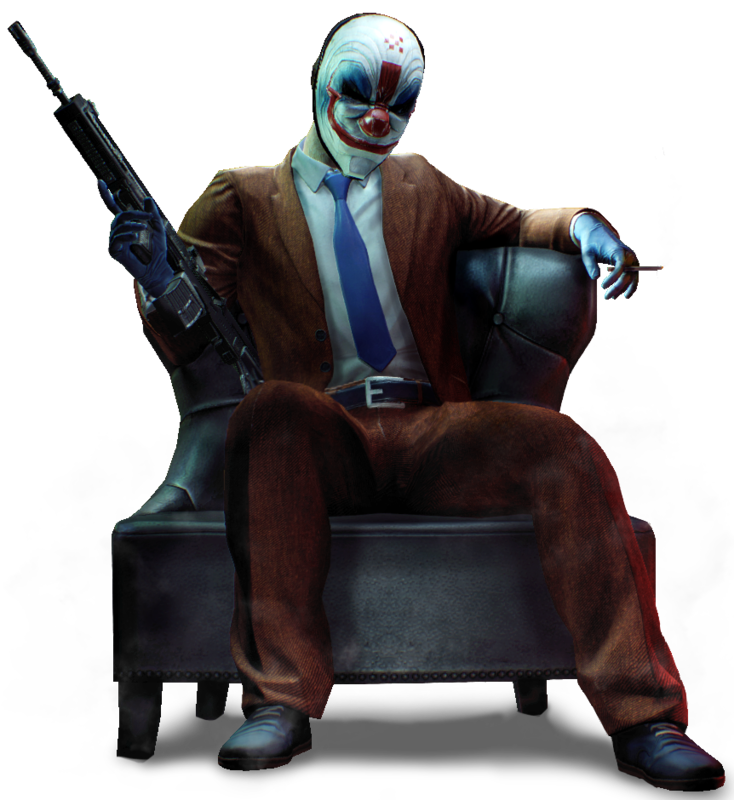 He would be given a fresh identity, a place with the infamous PAYDAY gang as part of a deal with Bain. A new life in America, the land of golden criminal opportunities. Perhaps there, things would be different. With a background like the one Dragan has, there’s no surprise he aspires to greatness in the criminal underworld. 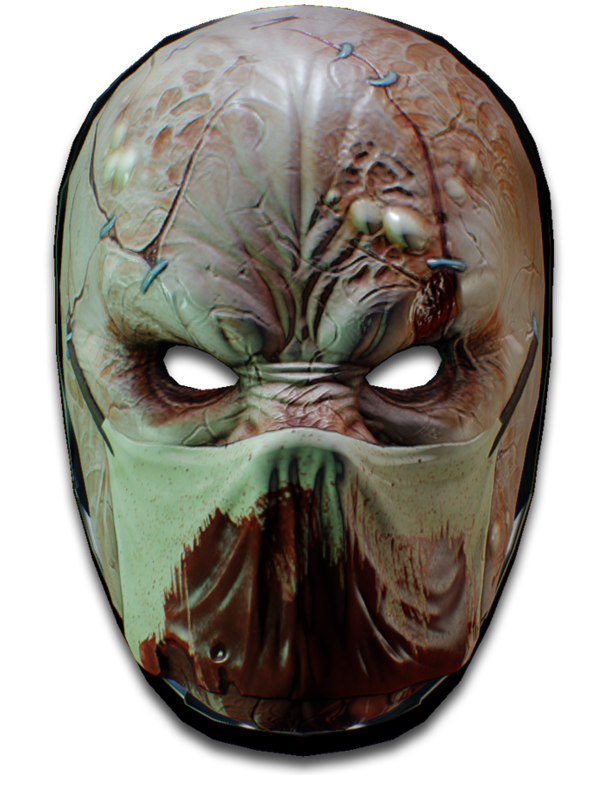 His mask represents a lot of his own characteristics, with the clear resemblance to some of the original crew’s masks that tells of his ability to infiltrate and blend in while still having some features that tells of his unending ruthlessness. The Croatian checker on the forehead serves as a reminder for both himself and his enemies to be aware that he is not your common western street thug. The Lion’s Roar rifle is 765 mm (30.1 in) long, with a 500 mm (20 in) barrel. The whole rifle body is a mono-block construction made from high impact polymer. When looked at from the front, it looks something like a bugle. 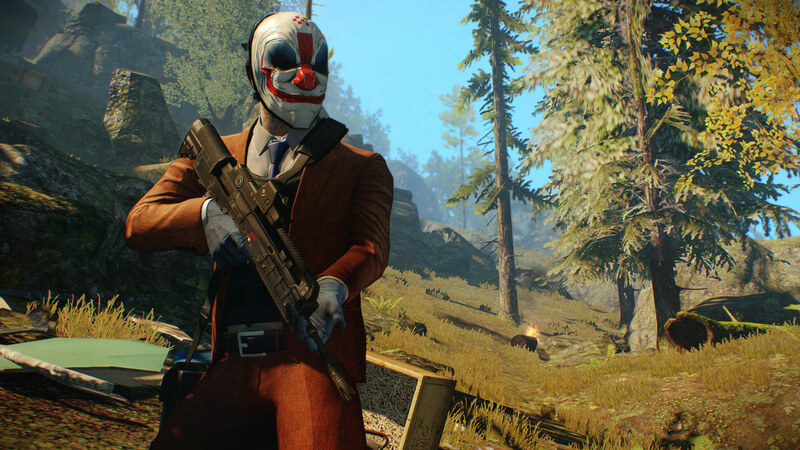 May this weapon hearken your glorious arrival, and may it help you perform the glorious melodies of PAYDAY. The cleaver is a kind of knife primarily used for cutting through meat and bone, but rather than using precise cuts the cleaver delivers powerful hammer-like blows that rend even the most durable flesh. Cleavers have a long history of butchering human beings as well as livestock, as the Chinese Triad consider the Cleaver something of a trademark weapon. Easily concealable, inexpensive, and a marked effect on both the target’s psyche and body. In short, you can go Full-Cow-Sacrifice-in-Apocalypse-Now-mode. The Infiltrator is an agent hired by a government or large criminal organization to obtain information about its enemies, or by a corporation to obtain industrial secrets from its competitors. 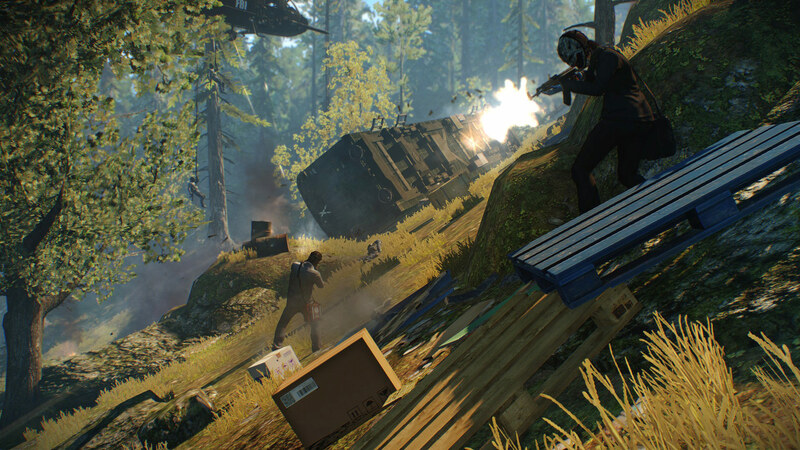 The Infiltrator is a close combat specialist who knows how to use the environment in order to get the upper hand. When you are close to an enemy, you receive 4% less damage from enemies. Increases your headshot damage by 25%. When you are close to an enemy, you receive an additional 4% less damage from enemies. You gain +1 increased concealment. When wearing armor, your movement speed is 15% less affected. You gain 45% more experience when you complete days and jobs. When you are surrounded by three enemies or more, you receive an additional 4% less damage from enemies. Each successful melee hit grants a 10% melee damage boost for 6 seconds and can stack up to 4 times. Unlocks an armor bag equipment for you to use. 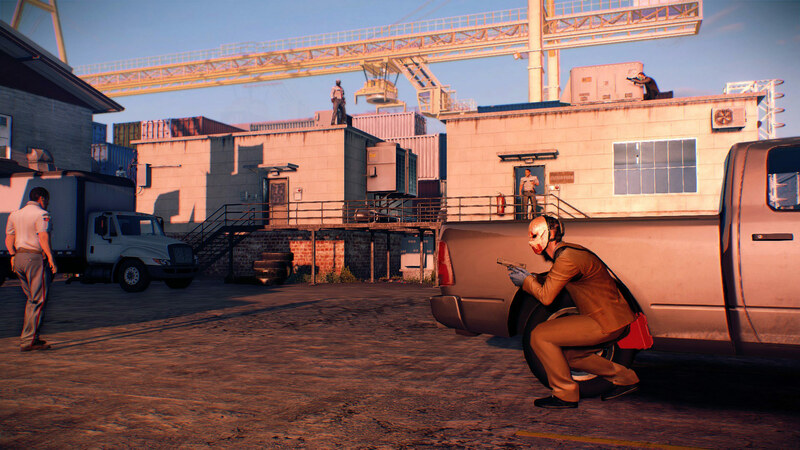 The armor bag can be used to change your armor during a heist. Increases your ammo pickup to 135% of the normal rate. 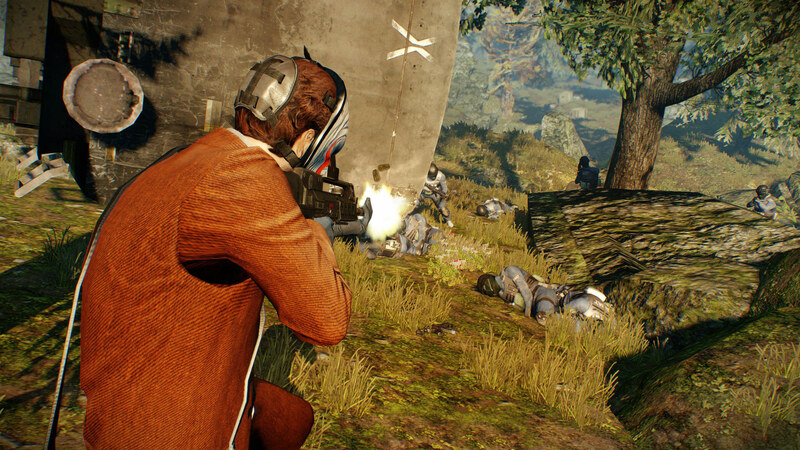 When you are surrounded by three enemies or more, you receive an additional 8% less damage from enemies. Each successful melee hit grants an additional 10% melee damage boost for 6 seconds and can stack up to 4 times. You do 5% more damage. Increases your doctor bag interaction speed by 20%. Striking an enemy with your melee weapon regenerates 10% of your health. This cannot occur more than once every 15 seconds. Day 3 is finally upon us! Once more it’s time for your perilous journey to 100% completed achievements. It’s time to try replace the soft American gloves with some Balkan Steel while weilding the Lion’s Roar rifle. 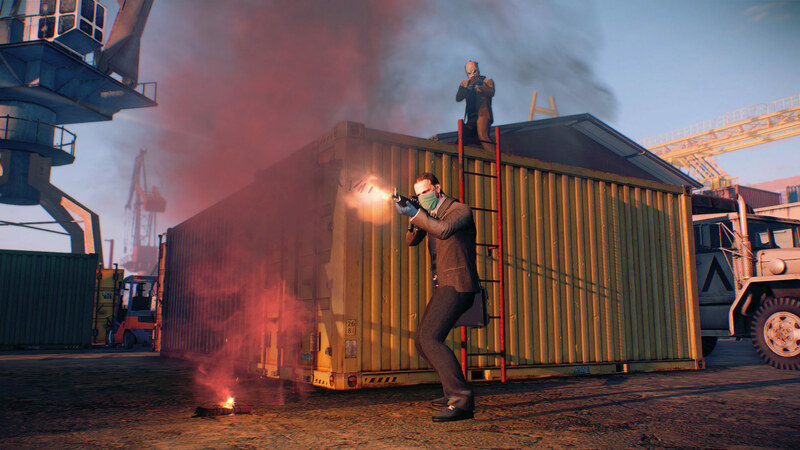 But, there is more – we still haven’t talked about the heists. Let’s get to it, shall we? 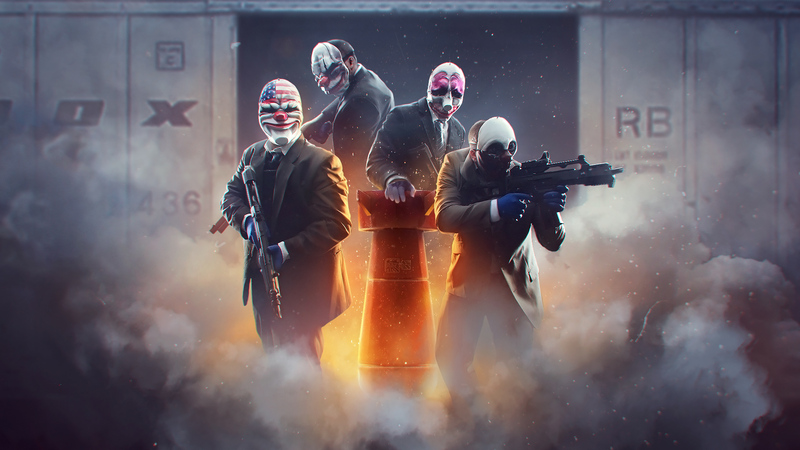 Remember that feeling when you saw the Bomb Heists website for the first time two days ago? Remember how awesome you thought that picture at the top was? You don’t know we did, but we heard you. 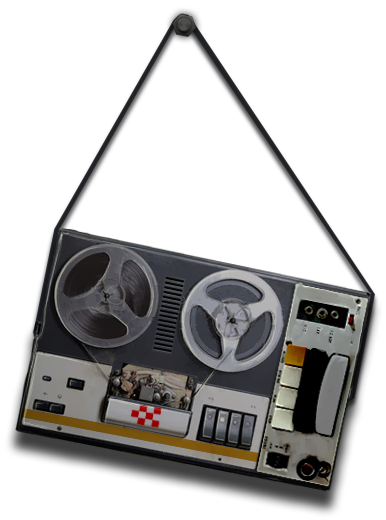 Wolf was hiding under your bed and Chains was in your drawer, ready to deploy the ECM at Dallas signal, who was standing just outside your room, after having cable tied your parents. Anyway, the above image is now available in a smooth 1920×1080 resolution for your wallpaperin’ pleasure. 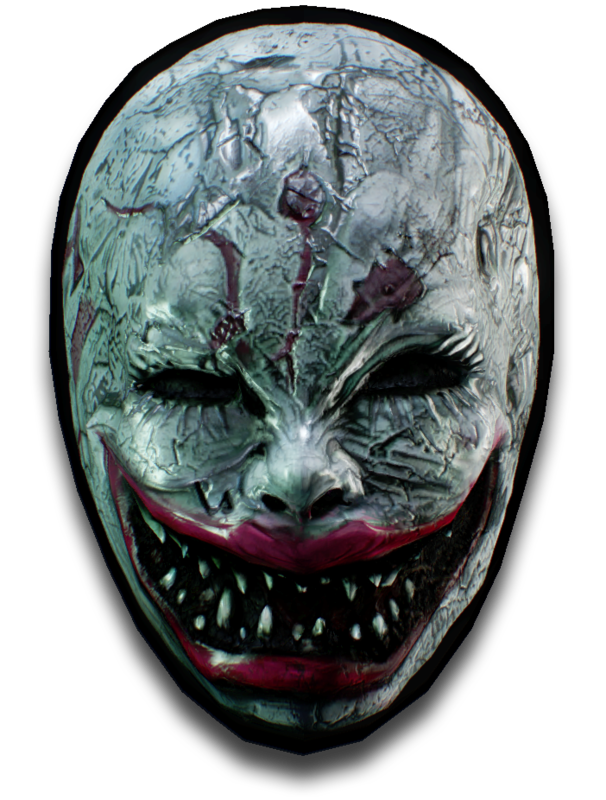 Four new masks have been made available, from the Butcher’s private collection nonetheless. These first few samples are pretty varied – she seems to see art in the mundane as well as the grotesque. There are many rumours about the mad butcher from the east, one of them tells of a man who found such pleasure in butchering pigs that he slowly started to look like one. Working in a butchery as hot as hell itself his skin became disfigured with blisters and cuts, people tell of screams coming from inside… And not just the screams of pigs. 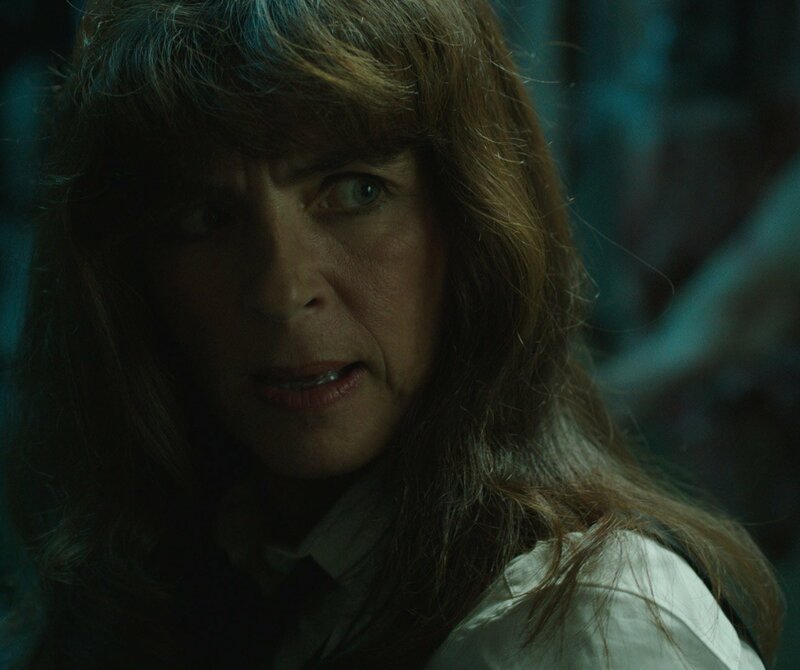 If you received a dollar every time the Butcher was called a “witch”, a “harlot” or a “banshee” by her peers you could earn enough money to buy the entirety of Croatia. Cynical men around her bemoaned the fact that she was female, and felt endangered and distressed at the sight of her meteoric rise in the criminal underground. Keep in mind that the Balkans are not exactly known for their capacity to tolerate anybody who is in any way different, and one can only image the flat-out chauvinism and misogyny she must have dealt with while working with some of the most ruthless criminals every day of her existence. This mask shows how she is seen by both her rivals and her associates. It makes people feel afraid. As they should be. This mask is a modern interpretation of the Egyptian war-god Maahes. Known as the “Wield of the Knife”, “Lord of Slaughter” and “Avenger of Wrongs”, Maahes punished those who transgressed from the rules of Ma`at – the personification of order and balance. Considered the embodiment of the burning heat of the sun, he was also seen as a protective deity that defended the Pharaoh during battle. He is usually depicted as lion-headed man carrying a knife wearing the Atef crown, the Solar Disk or is pictured as a lion devouring a victim. A naso-buccal mask usually associated with hospitals and ambulances. 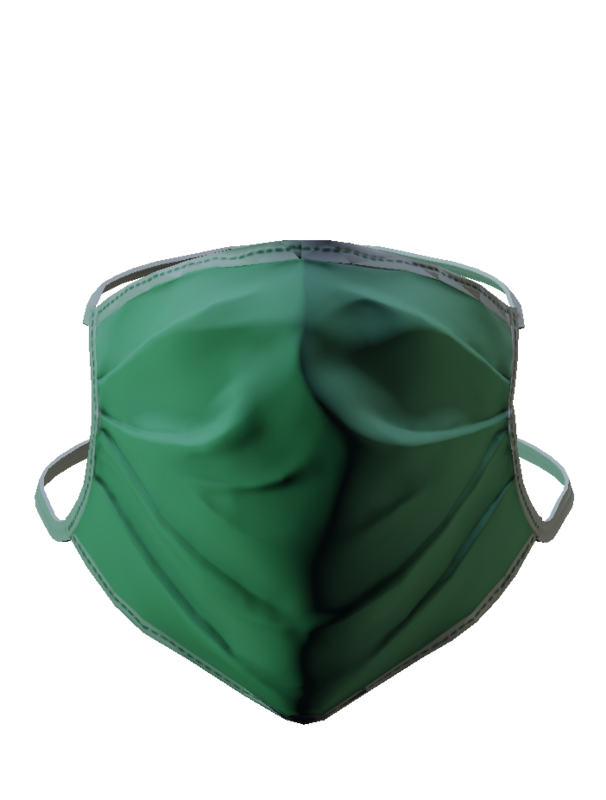 This mask disables the host from spreading airborne viruses by catching the bacteria-laden saliva and mucus that is discharged upon sneezing or coughing. Both doctors and patients wear this, so you should ask yourself: am I the sick or the healthy one? The disease or the cure? In any case – it’s fever season, and the only prescription is dead Bulldozers. 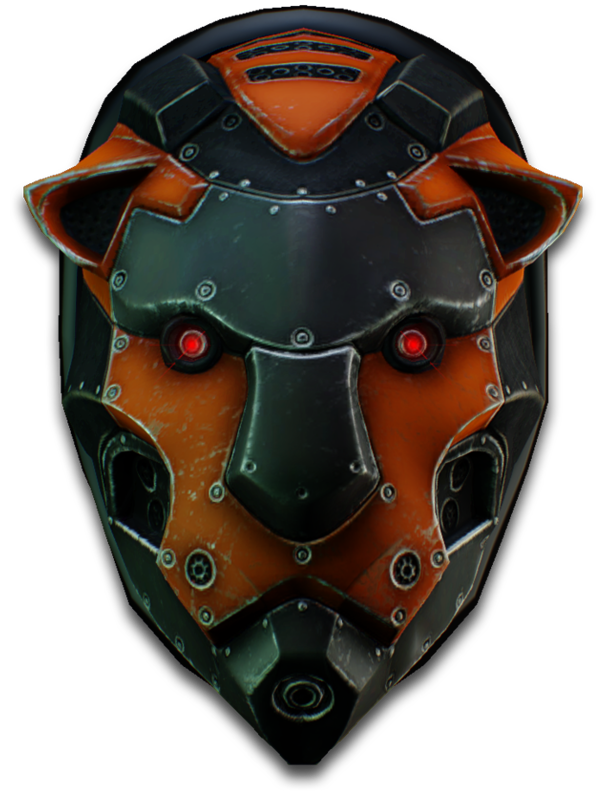 What would the masks be without the ability to customize them? Along with the mask themselves came four patterns and materials respectively. These heists will be a little different. Instead of money, we will be snatching something a bit more more explosive, if you would pardon the pun. The Butcher has tasked us to steal a thermobaric bomb that is being sent to Norfolk to be decommissioned. 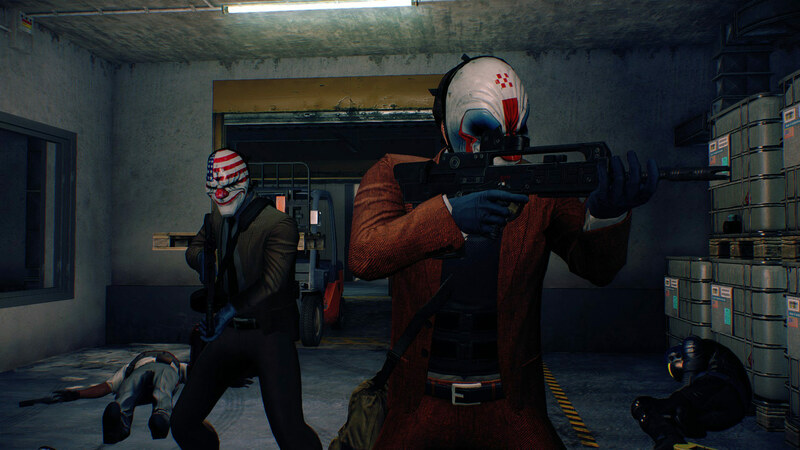 Unlike previous heists, we can approach this job in two very different ways. The bomb is being transported by ship into the US, and it will be docked in the Port of Virginia from where it will be transported to a train that will carry it to Norfolk. 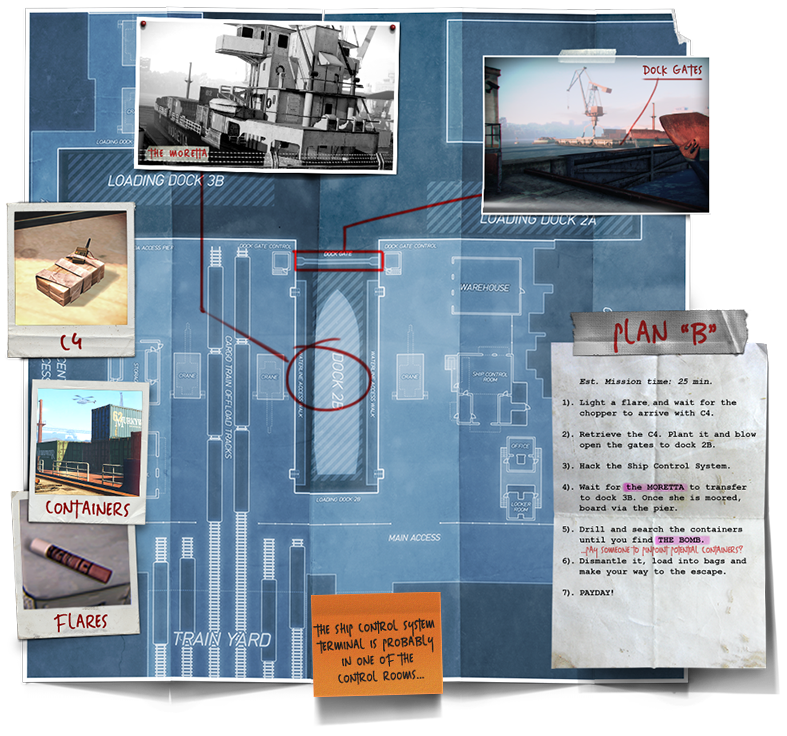 We have the option to either directly intercept the bomb as it is being transported from the docks to the train, or we can take the less subtle approach and derail the train as it is on route for its final destination. 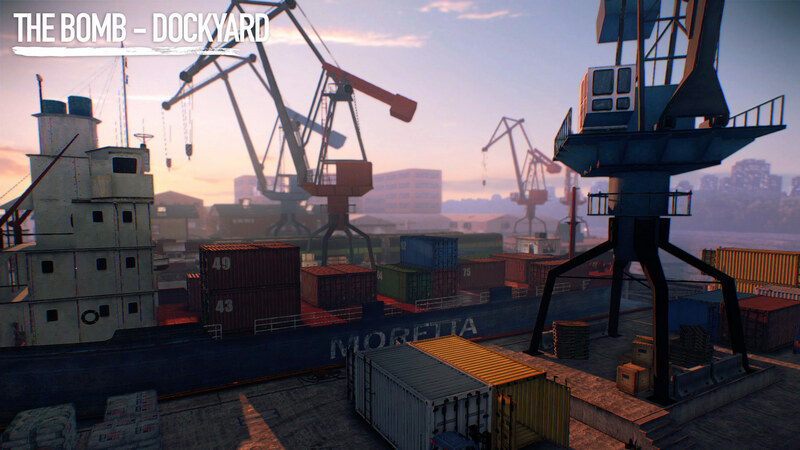 If we choose to intercept the shipment, bear in mind that the port authority is taking the utmost precautions in ensuring that the transfer proceeds smoothly. Word has it that the ever so courteous folks at Gensec are on the guest list. So the smart thing would be to avoid detection, and try to steal the bomb from under their noses. If that fails, you can always brute-force your way to into the ship, just be prepared deal with the best or worst that Gensec has to offer. I will be frank with you; either of the approaches won’t be a walk in the park. 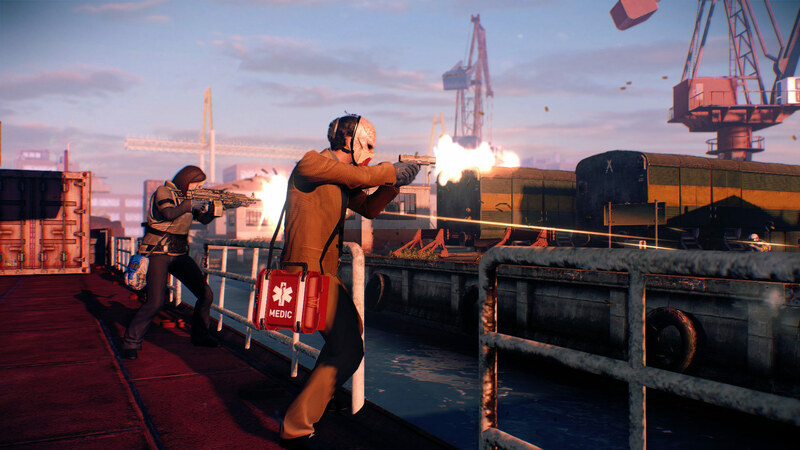 If you actually manage to succeed to complete this heist without alerting anyone, the Butcher will most likely be impressed. Here we throw caution to the wind and derail the train as it is transporting the bomb. The wagon housing the bomb is well equipped to handle violent shocks, so don’t worry about the bomb detonating prematurely. However, do worry about the accompanying police force that will try to repossess the bomb once they learn that we are trying to steal it. We will have a small time advantage because unlike them, we will be prepared. Your task will be to find the wagon housing the bomb, open the wagon, dismantle the bomb, and secure it via the exit point. Decide which exit point suits your strategy during pre-planning. The bomb is expected to return to a more suitable owner who would take much better care of it. You can expect a substantial donation from the Butcher if all goes as expected. Just don’t ask why she needs the bomb. Achievements, achievements, achievements. 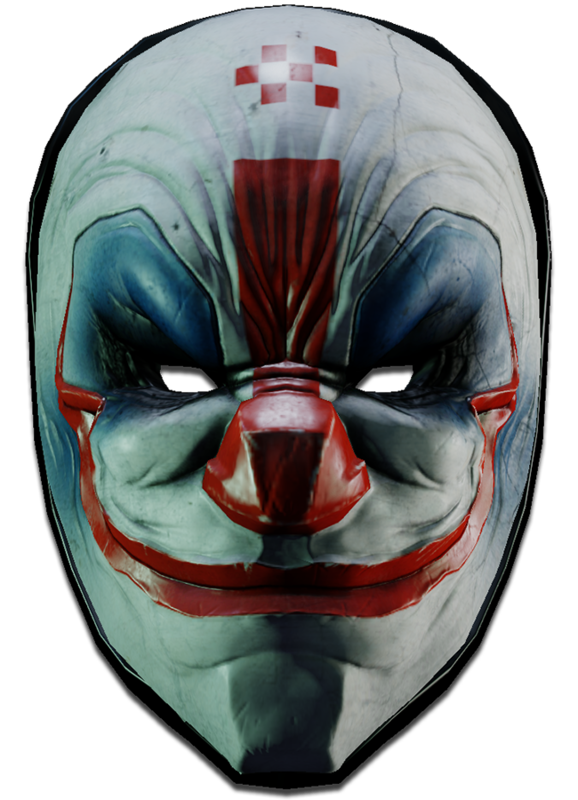 What would PAYDAY 2 be without them? Thankfully, our friends at Lion Game Lion have concocted a fresh brew of 11 new and exciting achievements. 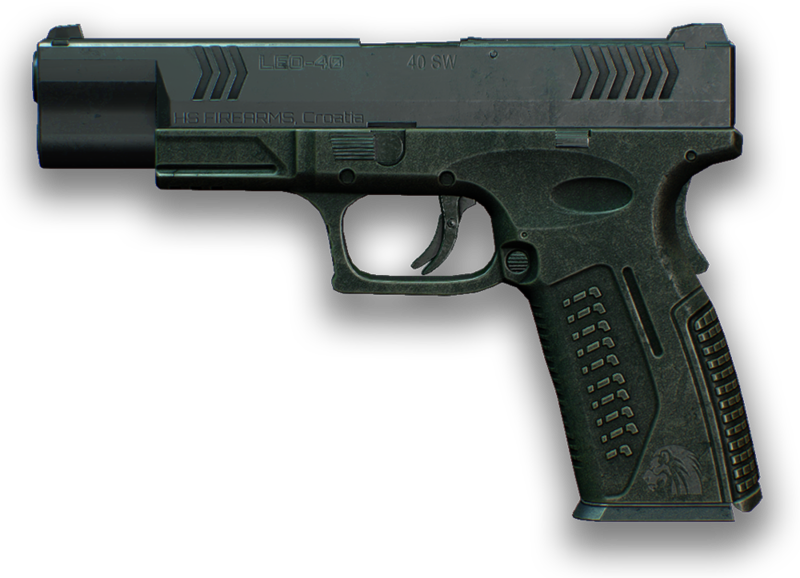 The LEO pistol is a semi-automatic pistol that is polymer-framed and striker-fired. It is used by both the Croatian military and law enforcement. So you can consider using a police pistol to break the law as a form of bizarre poetic justice. 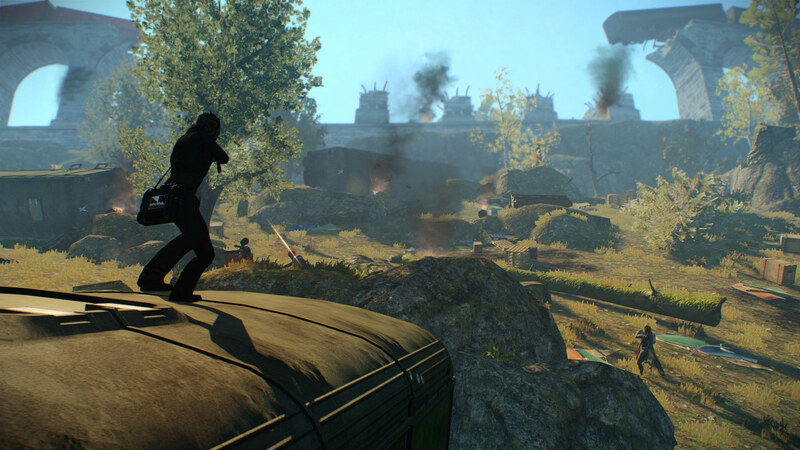 At the very least, if the cops find any shells laying on the ground after a heist they will first be on the lookout for a renegade Croatian cop, so you can rest a little easier. Get a chance to talk to Ilija the Sniper! The content will go live on Steam as soon as we’re done testing!